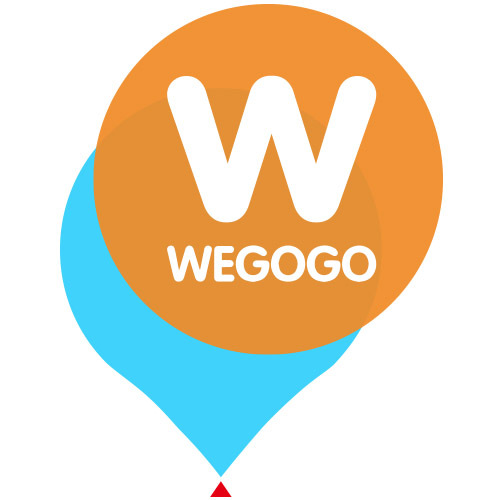 Singapore, 9 May 2016 - WEGOGO (我走走) today unveiled its plans to change the way Chinese see the world by tapping on the most widely used social networking tool in the world’s fastest growing outbound travel market. Launched on WeChat, which boasts over 633 million users and is still growing, WEGOGO will facilitate users in finding like-minded travel companions or seeking advice from others who have enjoyed a similar travel experience. “We decided to start by offering a WeChat-based platform because it's a tool that practically every Chinese smartphone user already is familiar with,” said Mak Chee Wah (Mak), Co-Founder and CEO of WEGOGO. “This will quicken the adoption of our platform tremendously” he went on. High social media participation has led to a sharing economy with information of destinations readily available online, and this has resulted in more sophisticated and matured Chinese travellers – Free Independent Travellers. The technological platform is designed to serve information that is customer-centric, and not just based on profiles and preferences. Contextual cues will be built in to enable WEGOGO’s system to learn even more about users based on what they search, where they have been, and what they truly look for when considering their next trip out of China. “Chinese travellers are beginning to engage in specific experiences that are not destination dependent” shared Reene Ho-Phang, Strategic Advisor to WEGOGO. “We are seeing more and more of them participating in marathons overseas because that’s what they want to do, and it doesn't have to be famous races like the Boston Marathon, or held in a city that they want to visit” she added. WEGOGO will also allow Chinese consumers to link directly with Travel Hosts or travel service providers offering the exact activity and experience they are looking for. To start off, over 3,000 providers are found on WEGOGO to make their offerings available to consumers. “We are facing an information overload and planning trips can sometimes get overwhelming with too many choices” said Richard Tan, Co-Founder and Head of Business Development. “We are not just a directory listing or travel concierge like what is commonly found today. With contextual cues built in, our technology and system learns what consumers want, and matches them with relevant Travel Hosts to narrow the choices they have to make” he elaborated. For businesses, specifically providers of travel activities and experiences, the platform will allow them, as Travel Hosts, to focus on doing what they do best – their business. 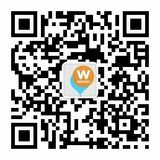 WEGOGO will enable them have their own WeChat micro-site (微网)， unique online identity, QR Code, and direct access to like-minded potential customers – without the need for hefty IT or marketing investment. “Once matched, Travellers and Travel Hosts connect socially and transactions are done” Richard went on to share. WEGOGO’s deep understanding over time of its users – both consumers and providers – will inspire a new way of ‘Transformational Travel’ – for self-learning and self-discovery. “The industry itself is undergoing evolution, and Chinese travellers themselves are evolving as they cope with rapid economic and lifestyle changes,” said Mak. Since opening the doors for outbound travel less than 30 years ago, China is now the largest source market and has the highest spending tourists. Despite 120 million border crossings in 2015, less than 10% of the people have passports, and the number of outbound travellers is expected to hit 200 million by 2020. Inevitably, the entire sector is developing as rapidly as its economy boomed, and the market will take a shorter time to reach the same maturity levels as Europe and North America.